As you’re searching for the perfect promotional product to supplement your marketing efforts, consider looking into the vast selection of custom calendars and planners. Choosing one of these items may be the best option for businesses that are looking to keep their brands at the forefront of customers’ minds. 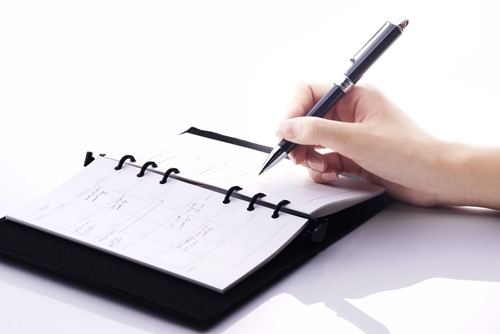 Calendars and planners are frequently used year-round, which allows a company’s logo to be prominently displayed for an extended period of time. If your church is searching for an item to distribute among members of the congregation, a planner could be a practical choice. Whether you’re picking a product to show appreciation to church members or you’re looking for one to distribute throughout the community, a pocket calendar could offer many benefits specifically to your church. Consider a product that is small in size yet deep in its offerings, such as the Jesus Names KJV Bible Pocket Calendar with Notepad. This booklet features a list of Christian holidays, weekly Bible verses and a code that provides smartphone users with daily scripture. If you work in the medical realm, consider a planner that not only provides consumers with the basics of first-aid and advice for healthy living, but also allows them to keep track of their own fitness and dietary habits. The Health Mate Manager Date Log Custom Calendar is perfect for medical professionals who are seeking a practical item to hand out to their patients. The planner features reference material for readers, including the basics of healthcare information and charts for consumers to keep track of their own habits. Corporations may prefer an inspirational calendar to distribute among employees. A planner that features tips for team building and inspirational quotes for workers is the best option for these organizations. Consider the Teamwork Peak Pocket Pal Calendar, which also features a full-color world map. Alternatively, managers looking to provide their workers with a more practical planner best suited for life in the business world may search for a larger option that can assist them in becoming more organized. The Windsor Desk Planner Calendar may be ideal for these executives.